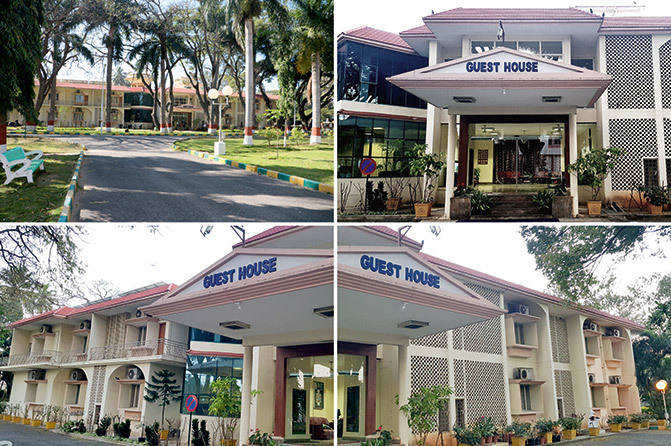 The Institute has pictursque Guest House within the campus. 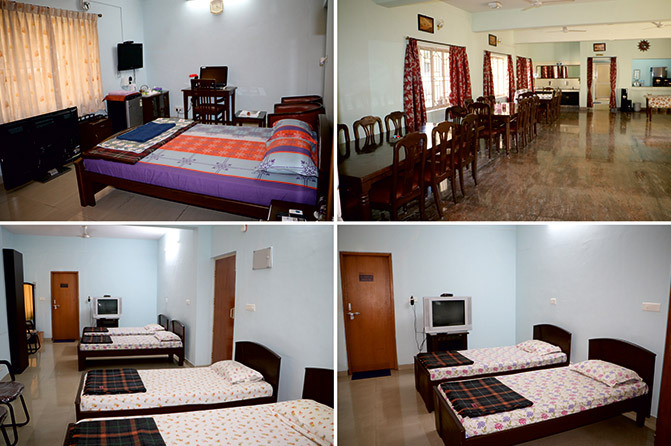 The Guest House is furnished with A/C Suites, Television with DTH connection and Internet connectiity in each room apart from the basic amenities. 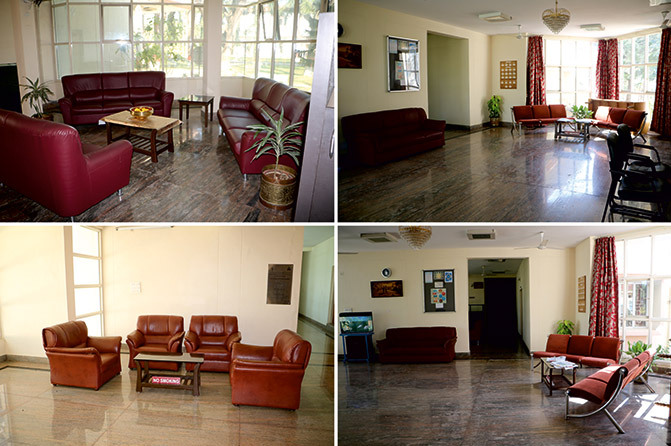 VIPs, Institute guests and Invited guests are accommodated at this guest house. Other facilities at the Guest House includes, dinning hall with kitchen and food is available for all the residing guests on prior request. During most part of the year, the Institute organizes conferences, scientific meetings, training programmes and academic events. Hence, it is necessary for the incumbants to send advance accommodation request in proper format available on the Institute web site, as sometimes, it will not be possbile to extend accommodation facilities, if the guest shows up unintimated. The requests for securing accommodation at this Guest House should only be sent to following. The requests sent elsewhere are not guranteed to be acknowledged/honoured. Allotment of rooms in the Guest House shall be on first-come-first served basis. However, preference will be given for ICAR/SAU officers coming on official visit. Allotment can be treated as cancelled /shifted in case it is required for departmental or VIP use and if your communication details are available, the same will be intimated to you. The room rent charges shall be applicable as per the status of the guest staying in the guest house and not as per the status who have booked the accommodation e.g. if an ICAR employee is booking an accommodation for a private person, charges will be as applicable to others. Guests staying at the ICAR-NIANP Guest House need to provide/allow to retain a photocopy of their vaild ID card.